Insurance level was formed to provide insurance shoppers with a service that will provide an opportunity to receive the lowest possible insurance rate quotes without the hassle of multiple phone calls, research, or insurance quote forms. By using our simple, web based quote forms, you are able to request quotes from insurance agents and companies in your area. Our agent quote matching service will provide you with the lowest possible rates thanks to the agent competition. When agents compete for your business, you are likely to receive the best rate possible for your particular insurance profile. An agent, who knows that they are in direct competition, will work hard to place your insurance coverage with a carrier that will provide the best combination of price and coverage. With a marketplace based approach, an agent will only look to provide insurance quotes in areas where the have a rate that is competitive. Otherwise, they are wasting time and money. 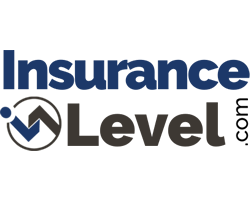 Insurance Level provides the marketplace for you to reach insurance agents who are competitive for your product type and your insurance profile. If you have questions or suggestions, we would love to hear from you. Thanks for shopping for your insurance coverage at InsuranceLevel.com!